Orbit the planet in this mens plus size astronaut costume! 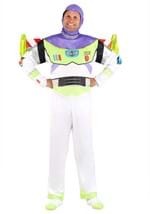 The white plus size astronaut costume includes a white polyester jumpsuit that zips up in front. An elastic band lines the waist for a comfortable fit. The collar is made from a shiny black material and features a stuffed lining to keep its shape. 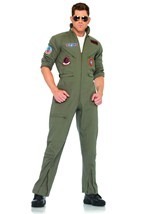 A blue circular NASA patch appears on the right chest, while a blue rectangular patch with the words "NASA Commander" appears on the left chest. 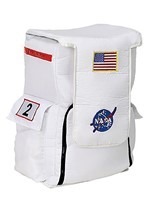 An American flag patch and a pocket with a snap both decorate the left shoulder, while a space shuttle patch with the words "Space Shuttle" is sewn into the right shoulder. A small pocket on the right sleeve is just the right size for a pen. Each sleeve ends in a black cuff. 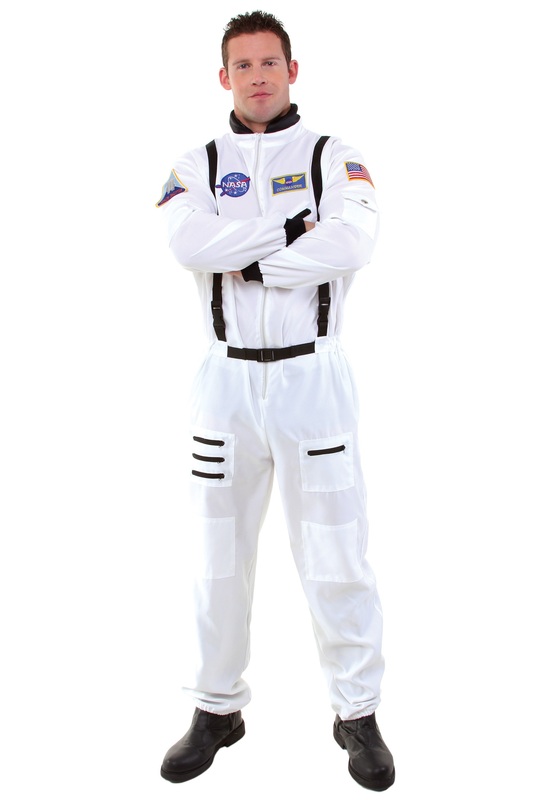 A zipper in the middle of the chest reveals another pocket and two more pockets with zippers at the thighs allow you to store even more astronaut gear. 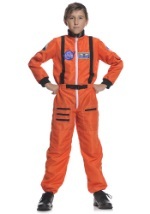 Black suspenders are sewn into the jumpsuit and buckle into place with adjustable straps. Zippers along the sides of each pant leg add more detail, while elastic bands around the ankles keep each pant leg in place. 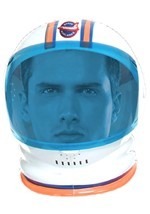 Check out our astronaut helmet to complete your look!